Tucked almost directly beneath the Golden Gate Bridge this former army post is on the threshold of the dramatic coastline of the Marin Headlands. After a post-to-park transformation completed in 2008, Fort Baker now houses Cavallo Point (the first national park lodge of the 21st century) as well as the Institute at the Golden Gate, leveraging the power of parks to advance environmental and social progress. Even when western park areas are foggy, the sun often shines at Fort Baker. On the eastern bayshore, you will find the brick fortifications of Battery Cavallo and the concrete gun emplacements of Battery Yates. The restored historic parade ground makes a great spot for a picnic. Hike the trails in and around Fort Baker—home to the endangered mission blue butterfly—and take in spectacular vistas of the bay and the Bridge. Enjoy a snack or have a world-class dining experience at Cavallo Point’s dining establishments. The pier on Fort Baker’s shore is a popular location for fishing. Here anglers catch perch, flounder, smelt, and rock crabs. Kids love the hands-on art, science, and play activities at the Bay Area Discovery Museum, which focuses on bay history and ecology. Please note: The museum charges an admission fee. Visit www.instituteatgoldengate.org to learn about the Institute’s work in leveraging parks and public lands as resources and platforms to discuss sustainability issues. Check the website for the latest news on the Institute, as well as details on how to host “green” meetings and conferences at Cavallo Point Lodge. Built in the early 1900s with an emphasis on improving living conditions for enlisted men, Fort Baker was transferred to the National Park Service (NPS) in 2002. Through the efforts of the NPS, Golden Gate National Parks Conservancy, and private entity Fort Baker Retreat Group, Fort Baker was revitalized. 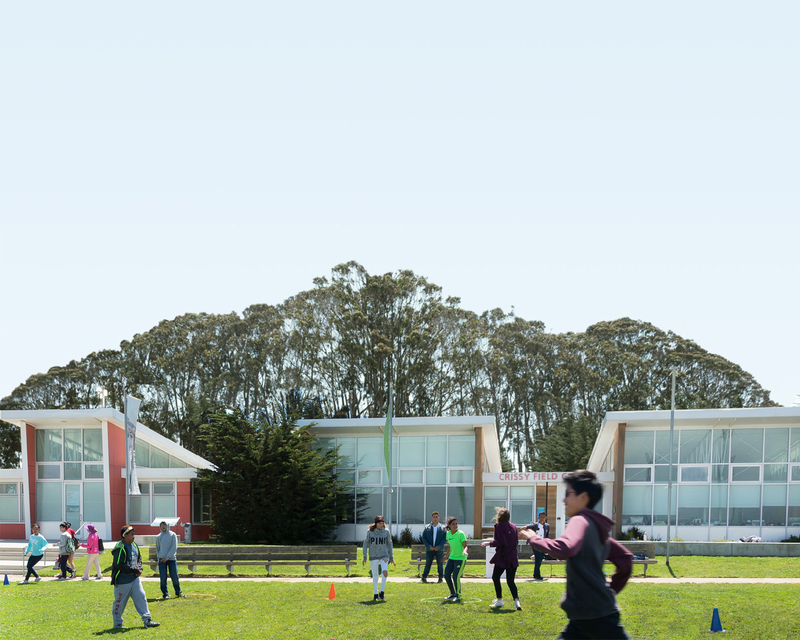 The results of this unique partnership were a LEED-certified national park lodge, Cavallo Point, and the Institute at the Golden Gate. Future plans for Fort Baker call for a new waterfront center in the old boat shop, where visitors will be able to rent bikes, get trail maps and snacks, and learn about park activities. Nestled against the Marin Headlands at the northern foot of the Golden Gate Bridge, Fort Baker is a 350-acre former U.S. Army post that was reborn as a national park site through the teamwork of the Parks Conservancy, the National Park Service, and the Fort Baker Retreat Group. This post-to-park revitalization resulted in the preservation and restoration of historic structures, the establishment of Cavallo Point-the Lodge at the Golden Gate, the restoration of critical habitat for the endangered Mission blue butterfly, the construction and rehabilitation of trails, and the launch of the Institute at the Golden Gate. Thanks to these enhancements, which were completed in 2008, visitors to Fort Baker can now be immersed in the natural and cultural history of this stunning national park site. Get additional details about the wide range of work we have done at Ft. Baker.